After All: Good things finally come to Georgia's Dead Confederate. Bands that have been around for years still struggle just to get a few pairs of feet through a club’s doors, and a night’s hard work can often result in barely enough cash to gas up the van and trudge on to the next venue. For Athens, Ga., band Dead Confederate, though, years of toil are finally starting to generate some serious returns. Their heavy Southern take on ’90s guitar rock is catching on in a big way. Dead Confederate are currently touring in support of their full-length LP, Wrecking Ball, which Gary Gersh selected to debut his new management/label The Artist’s Organization (TAO). Gersh, a former Geffen Records exec, signed Nirvana and Sonic Youth. Not a bad guy to have on your side. Dead Confederate singer/guitarist Hardy Morris is just happy to get their music out there. Wrecking Ball boasts numerous, killer layered guitar-rock tracks, heavy and lumbering, thanks to Dead Confederate’s foundational rhythm section. But it’s Morris’ drawl—slowed down, stretched out and turned way up—that keeps them scorchingly Southern. The tunes call to mind the noisier moments in Sonic Youth and Dinosaur Jr., with a heavy Nirvana influence on many of the songs’ breakdowns. The technique’s been tightened up while the songs have been opened wide. 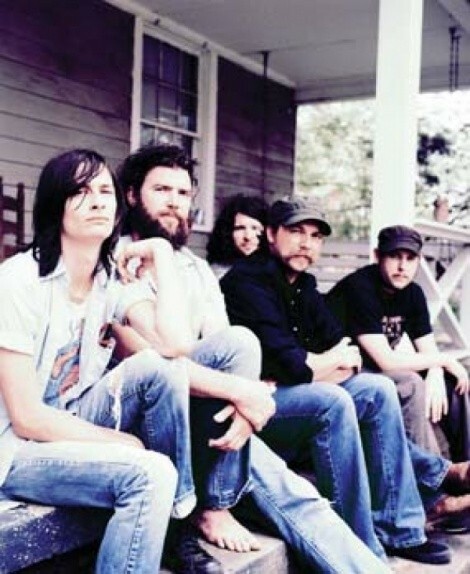 Dead Confederate got its start in Augusta, Ga., in the mid-’90s, when its five members were still in their teens. A 2006 relocation to Atlanta and then to the tight music scene in Athens allowed the band to refine its sound and develop a tighter, more focused aesthetic. The at-times-insular Athens music scene whole hog and without ego; the guys offered themselves to benefit shows, made friends with other bands, played DIY venues, found a tireless manager, built personal relationships with club staff, didn’t act like prima-donna assholes and generally convinced people to at least check out their band. Although Wrecking Ball is being pushed as the band’s debut album, it’s more of a “coming out” release. The guys locally released a transitional album called Petition to the Queen in 2006 under the Dead Confederate name—it was a more Built to Spill-ish, My Morning Jacket-y Southern rock album, but they’ve put much of the material behind them, although an earlier version of “The Rat” is the album’s second track. The oldest song on Wrecking Ball, “The Rat,” is actually getting the band most of its newfound press and Internet attention. Dating back to pre-Dead Confederate shows, the song’s evolution and continual use sums up the band members’ savvy decisions: they identified what they liked and what they did well; they trimmed the fat; they focused on their strengths and expanded upon them; they found that cohesive core; they believed in the value of what they were doing, and thought other people would as well. Too many bands try to have it all, writing songs all over the map, but Dead Confederate pulled back. In doing so, the band pushed forward. nThe Sidecar, 333 Main, Park City, Friday, Nov. 21 @ 9:30 p.m.